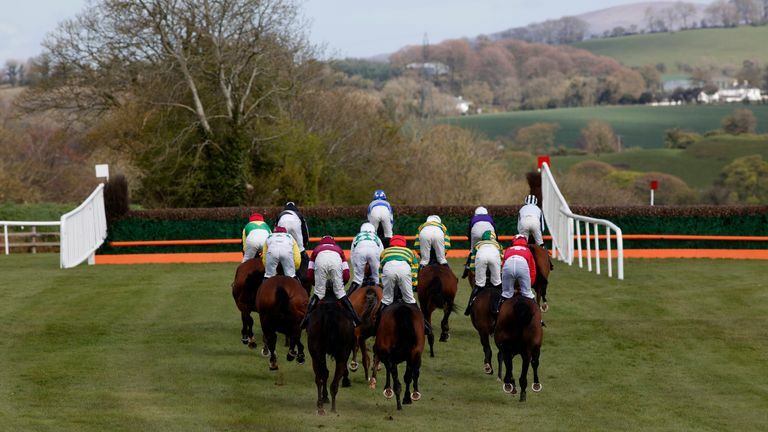 Irish racing authorities have tightened up measures to try to ensure racing continues during the equine flu outbreak that has caused racing to be shut down in Britain. A statement from the Irish Horseracing Regulatory Board on Friday evening read: "In order to be eligible to race, horses must have received a vaccine for equine influenza which contains Clade 1 virus within eight weeks of their race. "This updated mandatory vaccination requirement is to be implemented under Rule 91 (i) with effect from Monday, [February] 18. "It is advised that trainers and handlers take action as soon as possible to comply with this in order to be able to race six clear days after vaccination. "IHRB veterinary officers and assistants will be carrying out veterinary inspections with increased scrutiny at the entrance to racecourse stables on all horses - trainers and handlers are advised that if any horse shows any sign of respiratory disease they will not be allowed to enter racecourse stables or race. "Trainers are strongly advised to check their runners close to travel to include taking their temperature to ensure that they are fit to race. "Runners from Britain will not be permitted to race in Ireland until further notice." The statement went on: "We are aware a small number of isolated cases of equine influenza continue to be confirmed in Ireland and that the situation in Britain continues to evolve. "Horses will continue to be able to race across the north/south of the island of Ireland. This situation is being closely monitored. "Horses in training are required to be vaccinated for equine influenza in Ireland under Rule 90 and 91. "The updated requirement as above is to provide further requirement relating to the type of vaccine and when it is given. "As previously noted, the disease is however being reported in vaccinated horses. "Symptoms to be aware of range from an increased temperature, coughing and nasal discharge and the horse being off feed to more severe respiratory signs - your veterinary surgeon should be contacted for advice under current circumstances if these signs are present." 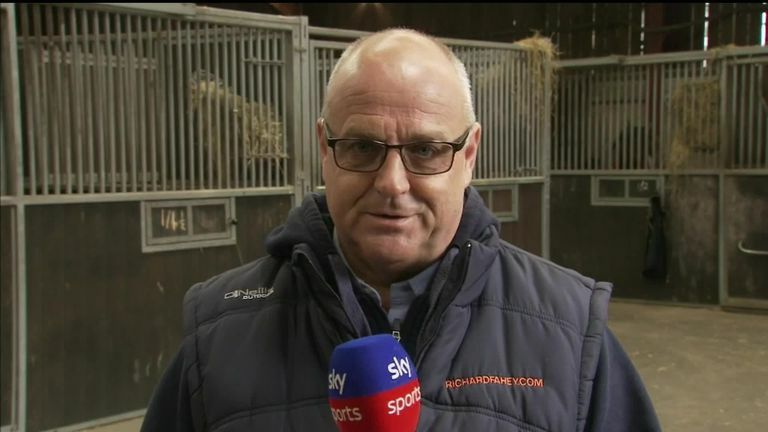 Trainers and those closely connected to stables in Ireland have praised the way the British Horseracing Authority and those affected by the disease have acted in attempting to keep the damage to a minimum. Amateur jockey Patrick Mullins, assistant to his father, champion jumps trainer Willie Mullins, said: "It is very worrying, but I think fair play to Donald McCain (who has had several horses test positive) and to the BHA. "They seem to have got a hold of it quickly. It's better they've found it now than in two weeks' time." 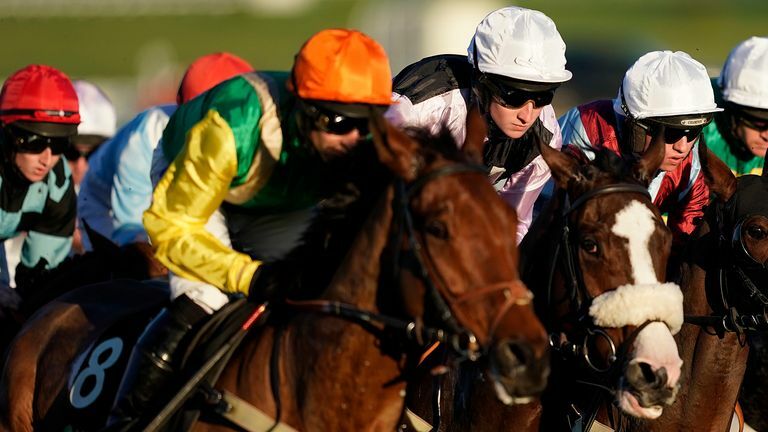 Paul Townend, a retained jockey at the Mullins yard, believes the British authorities have done the right thing in being "cautious". "We are lucky to still be racing here in Ireland. Every day will tell a bit more as to how serious it is," he said in his blog for Ladbrokes. "We just hope it doesn't cause any interference here, but the likelihood is that it will. You just have to take one day at a time and see what happens. There is a big worry. "We have seen racing shut down in Britain and it could possibly be disastrous. It is the right decision to be cautious and stop racing before it gets out of hand though." He added: "Nobody really knows how long racing will stop for or how serious it is going to be. Fingers crossed it is solved sooner rather than later." County Kildare trainer Ross O'Sullivan has his stables at the Curragh, the Headquarters of Irish racing. Husband of retired top female rider Katie Walsh, he believes patience is the key. "Everyone here in Ireland is hoping it gets sorted soon with Cheltenham and Aintree coming up. Fingers crossed," he said. "They seem to be doing a good job. They are taking all the precautions over there. I think if we have a little patience now for the next five days or week or whatever it takes to get it right, it could be the best decision in the long term." Philip Dempsey, who trains at Carbury on County Kildare, was aiming his staying chaser Dinnie's Vinnie at the Eider at Newcastle on February 23. However, under the current situation, he has decided to run him on home soil in the BoyleSports Irish Grand National Trial at Punchestown on Sunday. "He's in the Eider Chase, but the way things are over there with no travel and no racing we just don't know which way it's going to go," he said. "It's not looking good at the minute. We don't want it coming over here. You can't take chances. "Hopefully everything will be all right coming up to Cheltenham, and there's the sales coming up. It could have a knock-on effect."